Your first job out of college agrees with you. You just earned a sweet raise and promotion and made a solid dent in your student loan debt. It’s time to chuck that Civic, Corolla, or Golf that your nana helped you buy when you graduated and upgrade to a brand that fellow users of the managerial washrooms will respect. 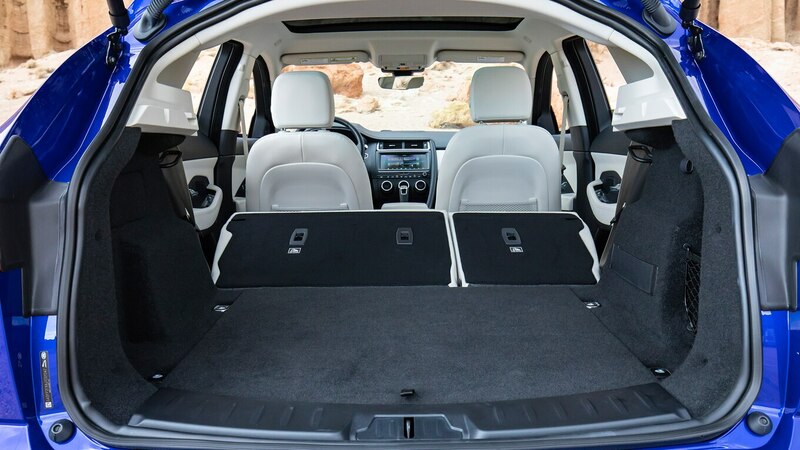 Your family needs are minimal, but you’re still outdoorsy (or seek to project that image, given the hours you’re putting in at the office), so you’re looking to join the stampede away from cars and into a fancy-brand small SUV. You demand easy, seamless connectivity to your devices, reasonable road-trip room for your pals and stuff, and sufficient style to swivel some heads. 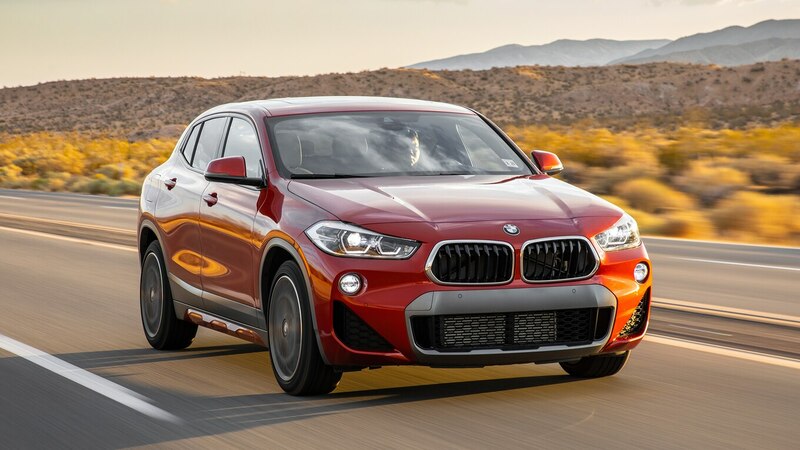 To this demanding millennial buyer, we suggest three fetching new entries into one of the fastest growing and most vital segments in the car biz. 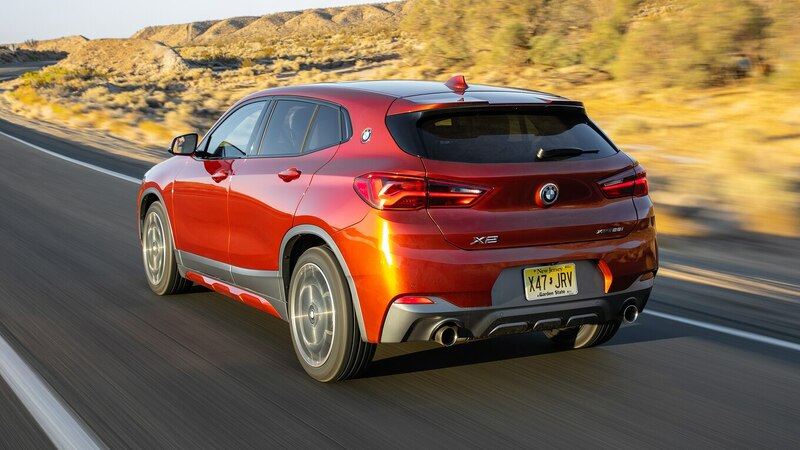 From BMW, the X2 reinterprets the sport-ute-coupe idea, ditching the hunchback profile of the other Bimmer X-mobiles in favor of a more hot-hatchy look. 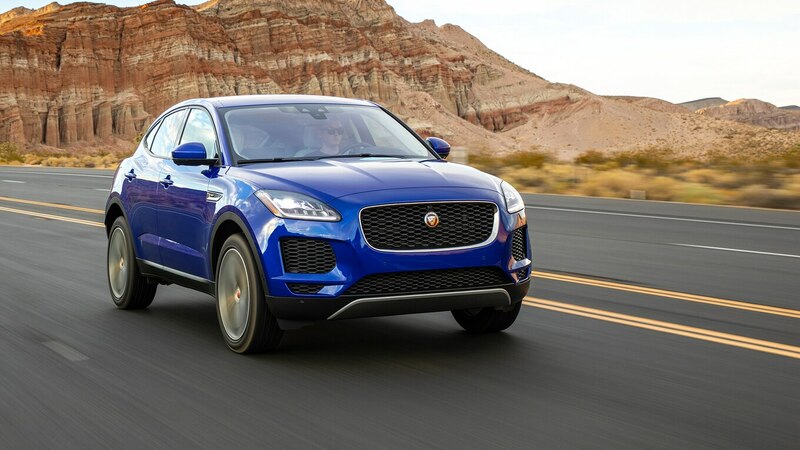 Jaguar’s new E-Pace cloaks off-road-capable underpinnings from the Land Rover Discovery Sport and Range Rover Evoque in dashing new feline bodywork penned by Ian Callum. 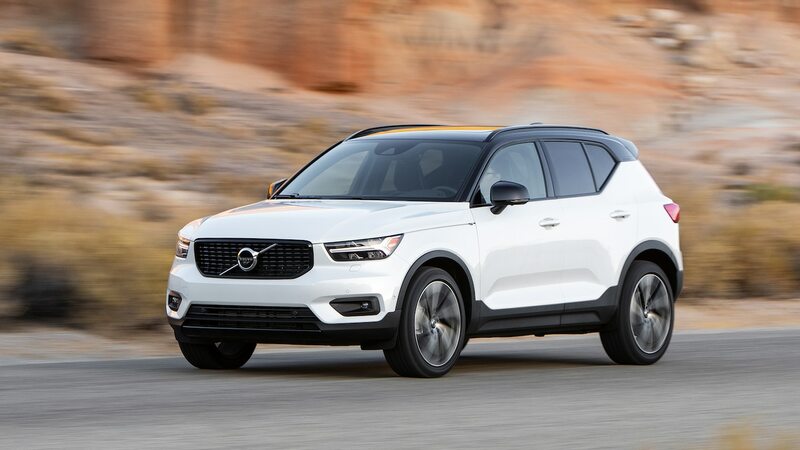 And finally, Volvo offers the XC40, which makes its unique, angular exterior styling and shared Ikea-chic interior from the XC90 and XC60 affordable to younger buyers—without watering down the safety gear or losing the familiar mini-Tesla touch-tablet Sensus infotainment system. 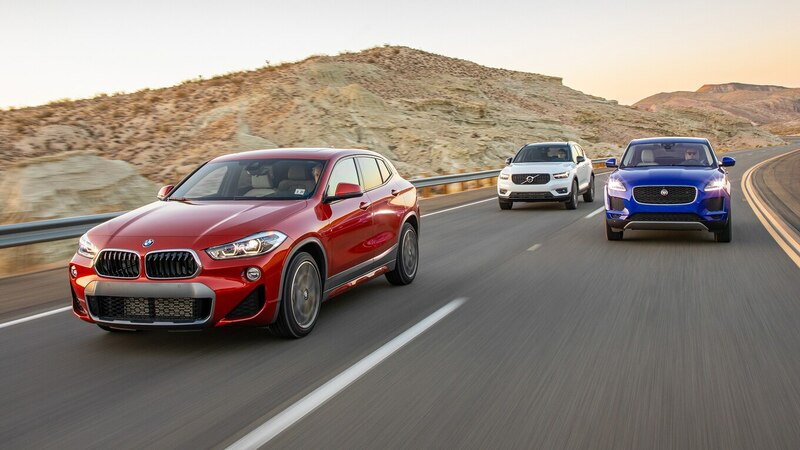 To get the pricing and configuration as close as possible, we gathered up a top-trim BMW X2 xDrive28i (a sharp inhale at its $50,920 USD as-tested price), a seemingly lower-level Jaguar E-Pace P250 AWD SE (eye-watering at $54,190 USD), and a mid-spec Volvo XC40 T5 AWD R-Design (a seeming bargain at $45,935 USD). To determine which vehicle is worthiest of our hypothetical millennial manager’s attention, we rounded up writers from this oft-maligned age group, encouraged them to imagine earning junior-executive pay had they made a more lucrative career choice, and road-tripped the trio to our high-desert evaluation retreat in Tehachapi, California. We start this comparison the way our target buyers begin their relationship with any vehicle: by pairing our phones. 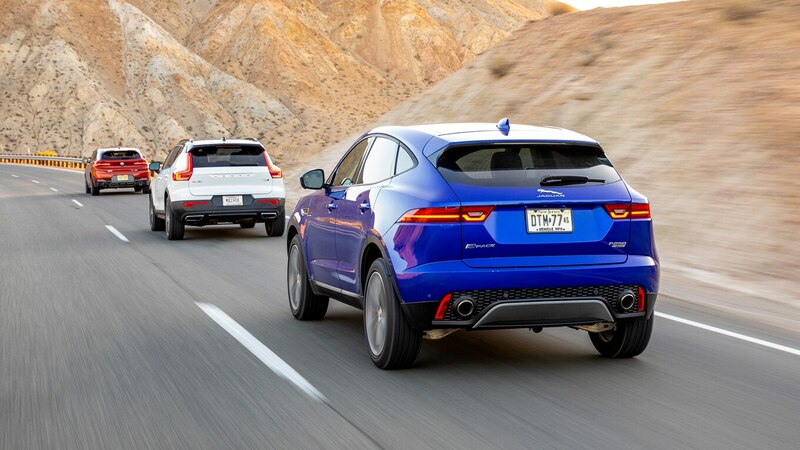 But the Jag supports neither CarPlay nor Android Auto, offering instead a connection via the USB cord and a balky InControl app on your phone to provide some mirroring features (plus remote starting, lock/unlock, and other features using your phone). It also offers a basic connection via Bluetooth for the phone and USB for music without the app. 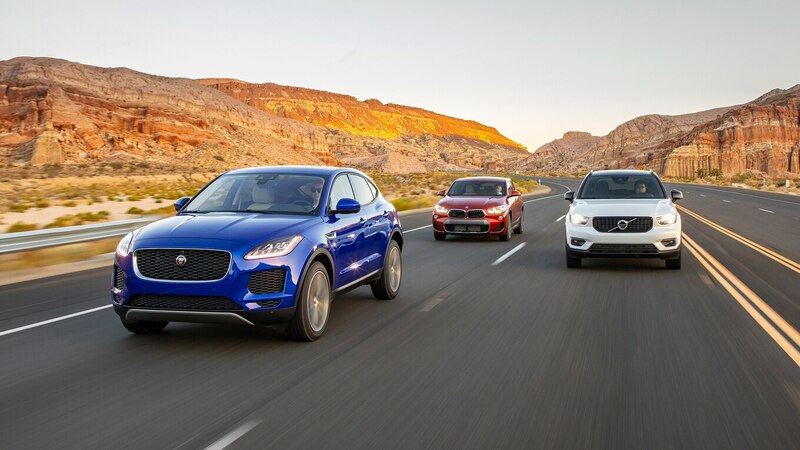 Jaguar has since announced it will offer CarPlay and Android Auto on 2019 models as a $280 USD option, flash-upgradable to earlier cars like our E-Pace. 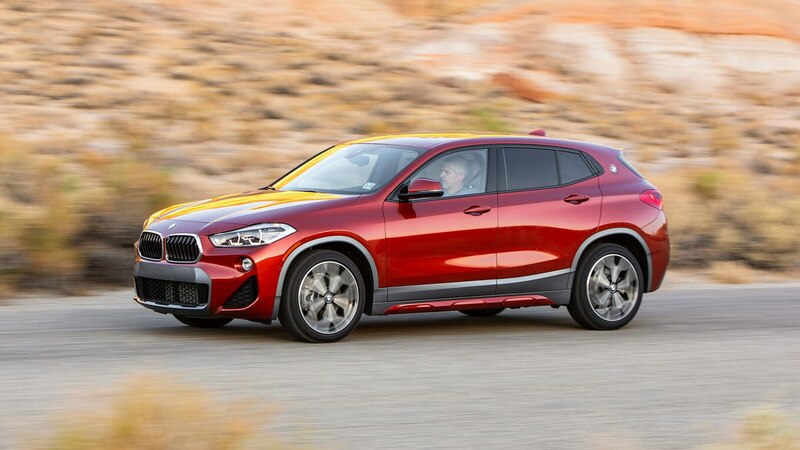 Our BMW X2 features a $500 USD optional Qi wireless phone charger, but its holder is too small to accommodate self-appointed infotainment guru Stefan Ogbac’s Samsung S9+ phone—and there’s but a single USB charging port in the entire car. 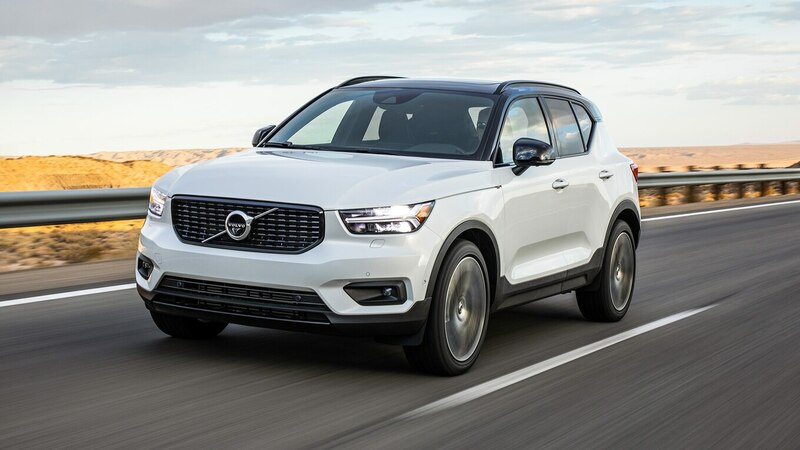 The Volvo’s wireless charging pad fits big phones and comes bundled in a comprehensive $900 USD premium package (along with Pilot Assist smart cruise and lane centering, HomeLink, etc. ), and there are three USB ports. 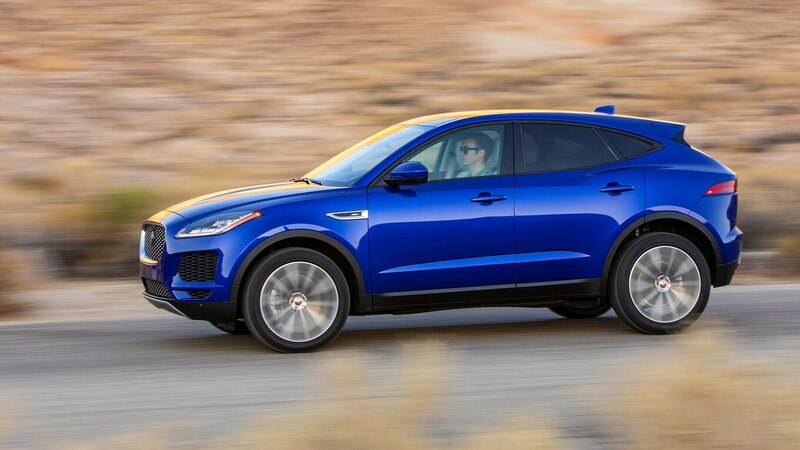 The Jag doesn’t offer wireless charging, but our E-Pace features an impressive five USB ports (three of which are included as a $230 USD option). 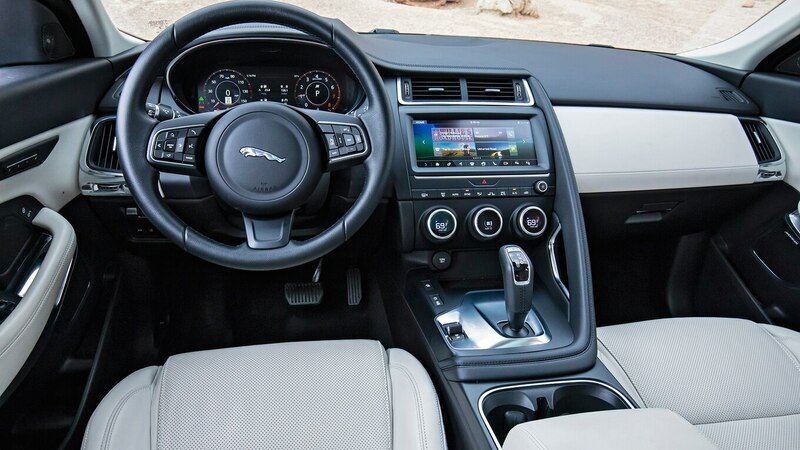 In living with these infotainment systems over the course of a week, several of us experienced bugs in the Jaguar’s InControl Touch Pro interface. On multiple occasions our music feed via the USB cord suddenly turned to static. Sometimes disconnecting and reconnecting the cord restored full functionality; other times it resulted in silent “playing” of the music, evidenced only by the progress bar on the screen. A few times the rearview camera feed suddenly dropped as we were reversing. Even when the Jaguar’s system was working properly, associate online editor Collin Woodard was vexed by its habit of defaulting to FM radio whenever the cord gets disconnected. Worst of all, absolutely nobody could see the sharply angled screen with the midday sun shining on it. 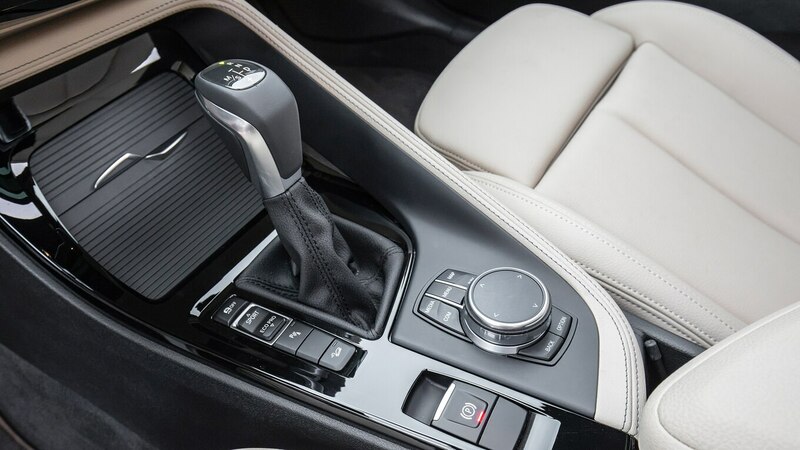 But enough complaining: BMW’s iDrive system has been refined to a point where we all find it fairly user-friendly; nobody ended up experiencing any glitches. 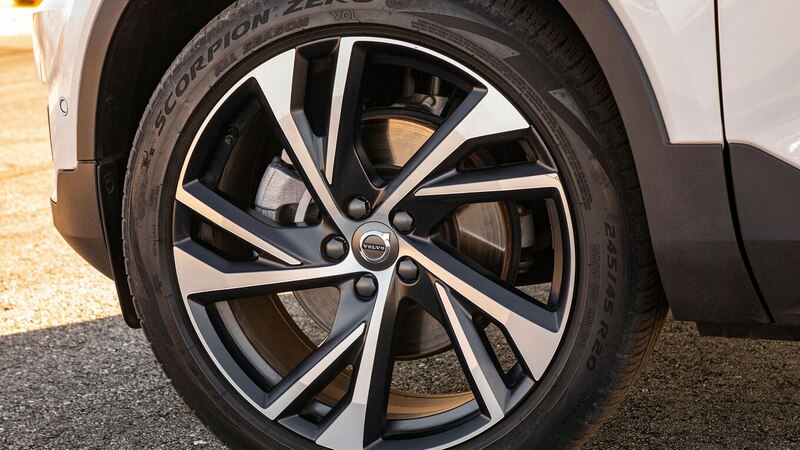 But it’s the Volvo Sensus system that draws universal praise from users of all ages. The swipe-left, swipe-right user interface is quickly learned, and the icons are well marked and functional. 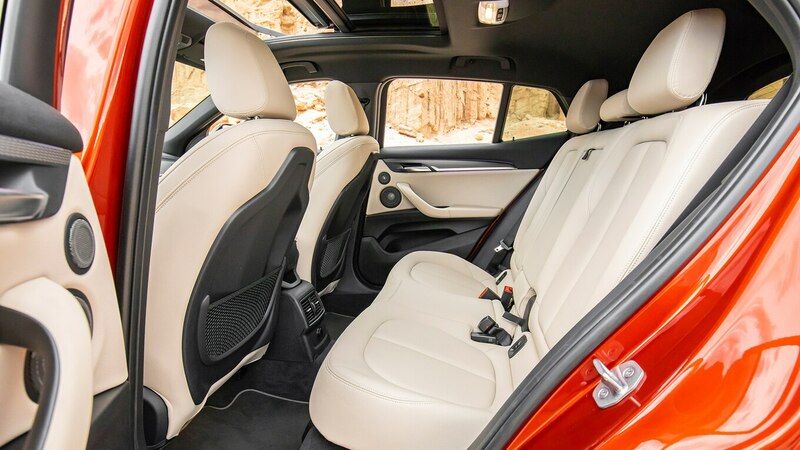 Our millennial judges agree that it’s vital any such move-up vehicle have the seating space to carry three or four pals, plus cargo room to support the occasional camping excursion or road trip, because this will often be an owner’s only vehicle. Here, the Volvo handily wins the space race. 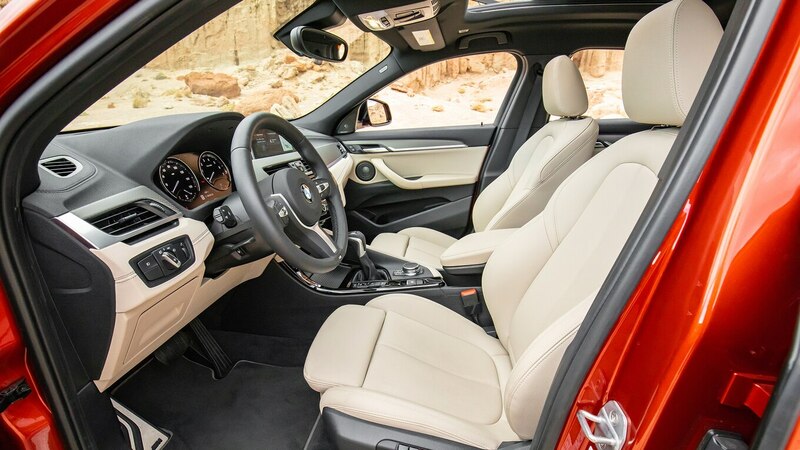 The numbers show superlative leg- and shoulder room front and rear, and the XC40 has the only back seat that accommodates three in moderate comfort. The cargo area is also the largest, both by SAE’s measurements and via our own tape measure. 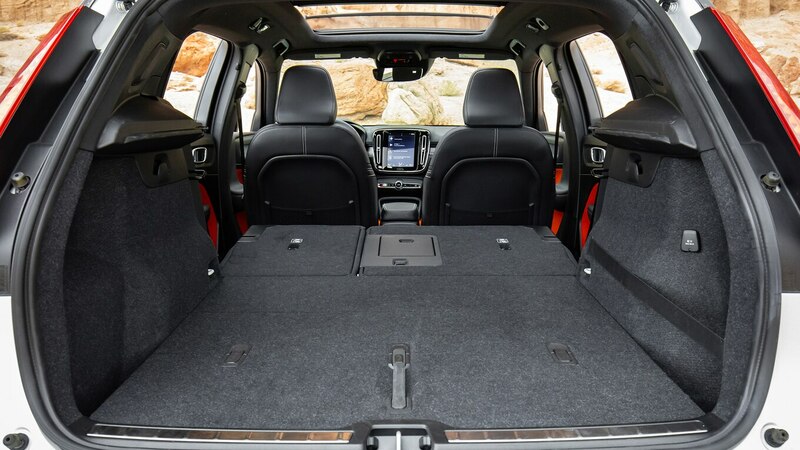 It’s the only one to offer electric releases to fold the seat backs flat with the load floor, and it boasts the largest hatch opening. 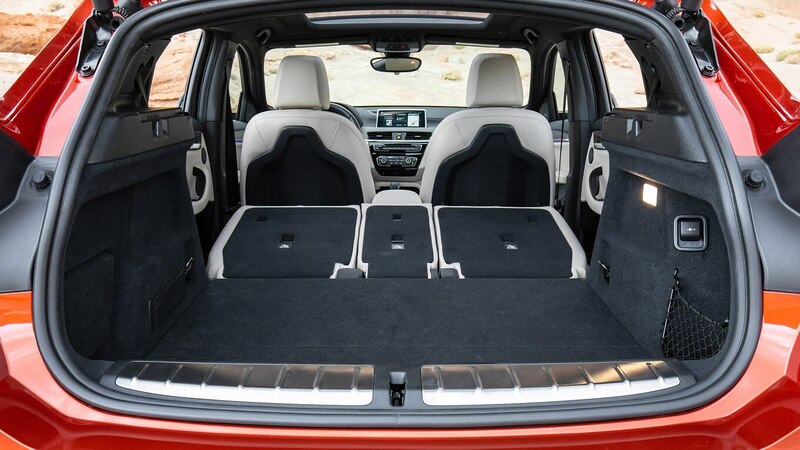 There’s a generous 3.5-inch-deep well under the floor, and—with the Premium package—a load floor that folds to form a cargo-area divider with three integrated bag hooks (in addition to the two on the side walls). There’s also a broad elastic strap to hold items against the passenger sidewall and the group’s only pass-through for skis. 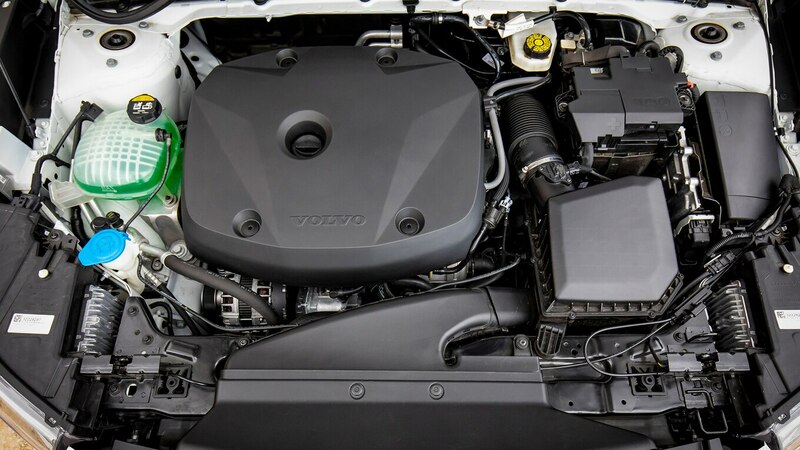 The Jag is our tweener, splitting the passenger space difference and measuring smallest in cargo volume by the SAE’s rulers while offering slightly more space beneath its two-piece cargo cover than even the Volvo by our own measurements. It’s the only one that doesn’t allow you to lock the car while closing the power hatch. The whole point of stepping up to these brands is to treat yourself and to tell the world you’re adulting—otherwise, a larger Honda CR-V Touring accomplishes the same tasks at considerably lower buy-in and operating costs. 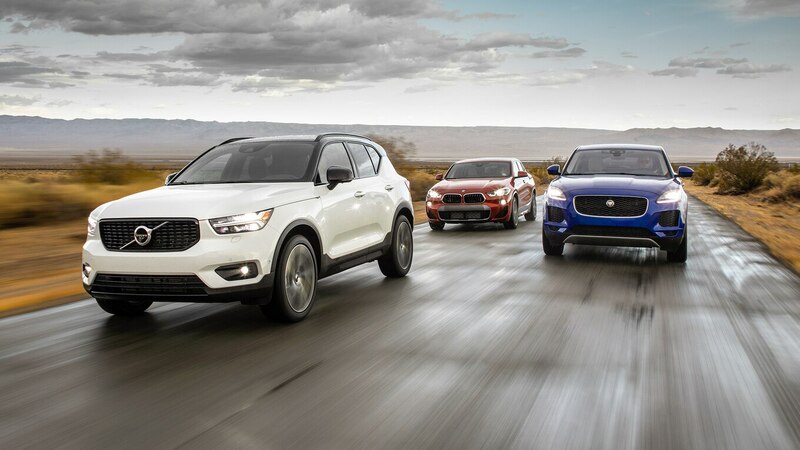 Each of our contenders does its gol-dangdest to scale its brand’s bucks-up styling cues down to size-and-price petite, and we think each pulls it off successfully on the exterior. 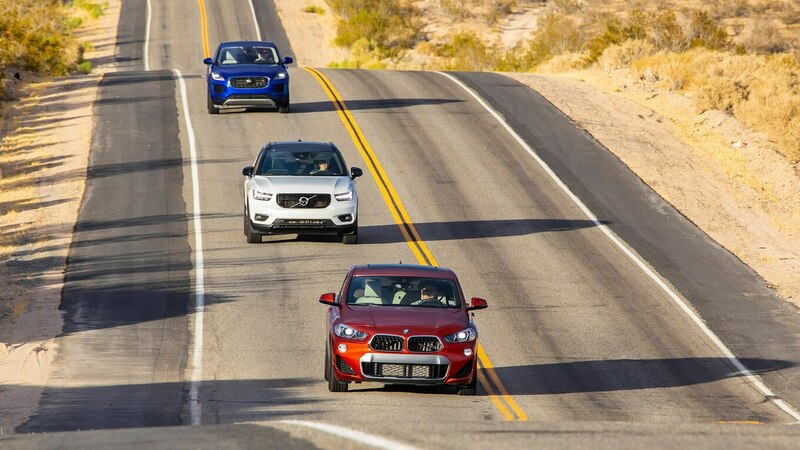 In terms of style, our judges ranked them Volvo, Jaguar, then BMW. Inside, the degree of success varies a bit more. 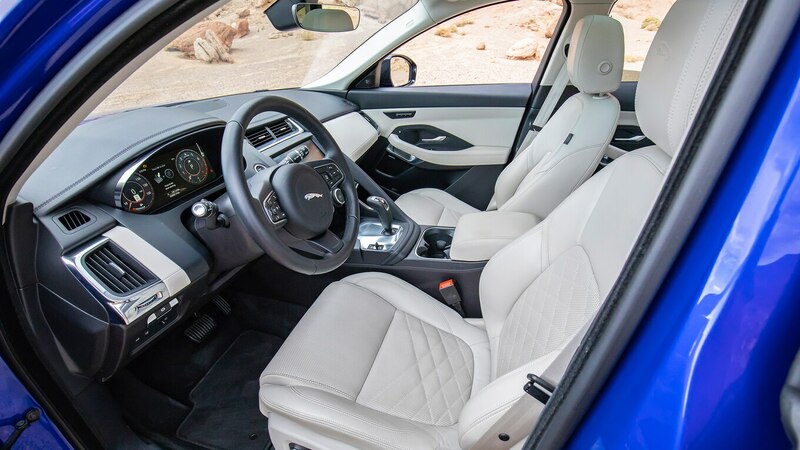 Only the Jaguar features genuine supple leather, but it’s a $1,530 USD option that includes 18-way front seats. 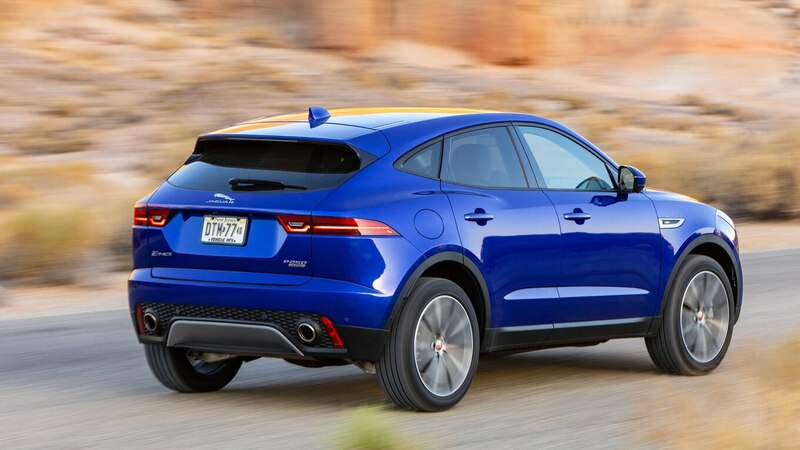 It looks rich, and the cockpit comes off as a touch swankier than even the F-Pace’s, though some find the plastic of the touchscreen surround and steering wheel console to be a bit ratchet. 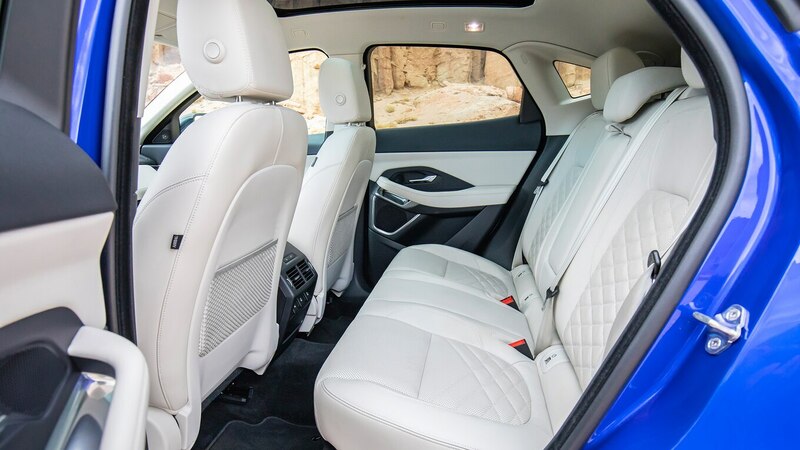 BMW’s interior telegraphs its spiffed-up-econobox origins. 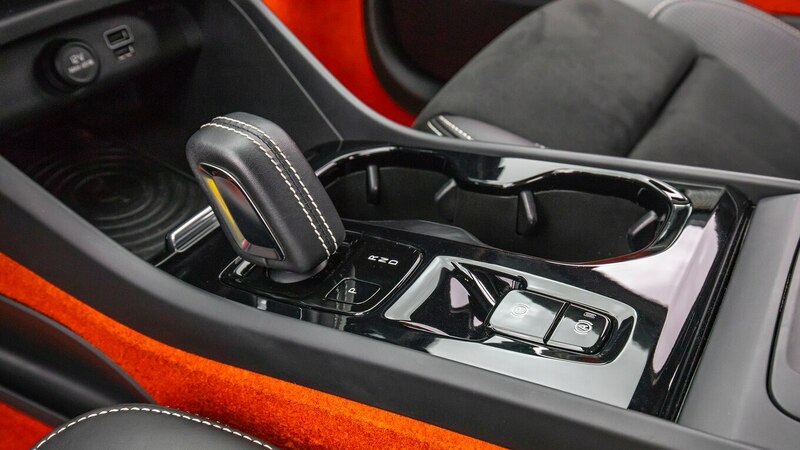 Sure, BMW has somehow faked the look of contrast French stitching using real thread in a molded plastic instrument panel, but placing it inches from materials that are genuinely sewn on the center console highlights the difference. 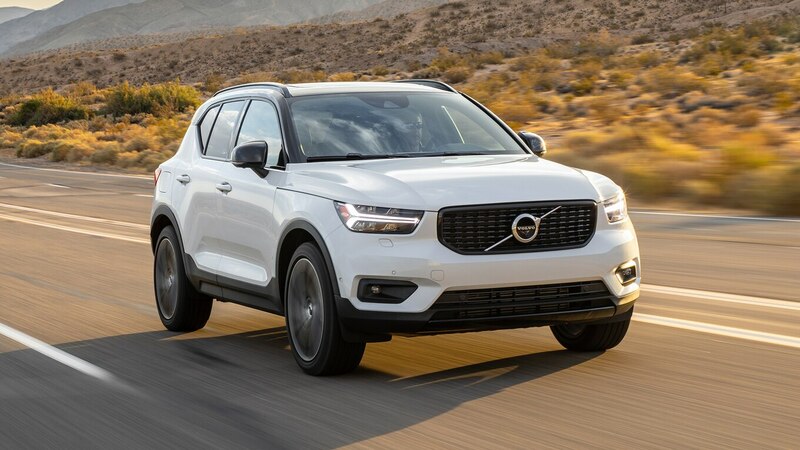 It also strikes us that with pricing that starts $3,200 USD above the XC40’s base and ends up $4,985 USD higher than its test price, the X2 should include leather seating, but nope. That amenity would add another $1,450 USD. 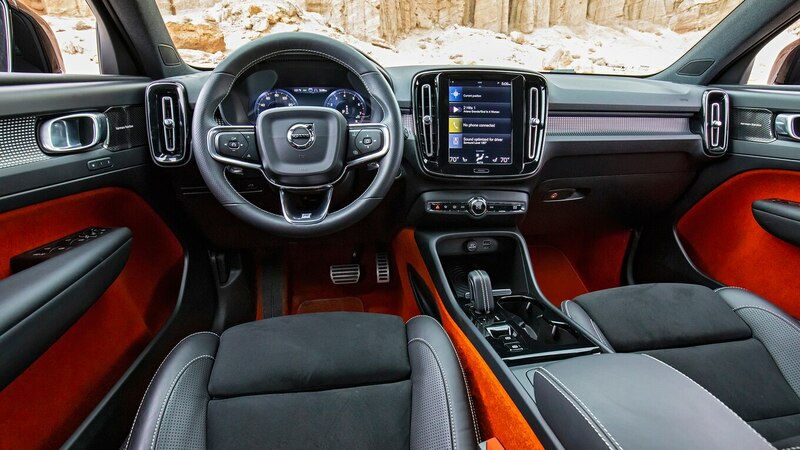 Volvo uses egregiously hard plastic in some areas of its instrument panel and doors, but Seabaugh was willing to forgive this, finding the overall design “unexpectedly fashionable for a car at this price point.” The Volvo’s suede-look Nubuck inserts on supremely comfortable seats don’t have us pining for the full leather that comes on the $2,050 USD-pricier Inscription trim. And although most of us loved the Orange Lava carpet and door inserts, they’re a $100 USD stand-alone option that H8ers can easily cancel. 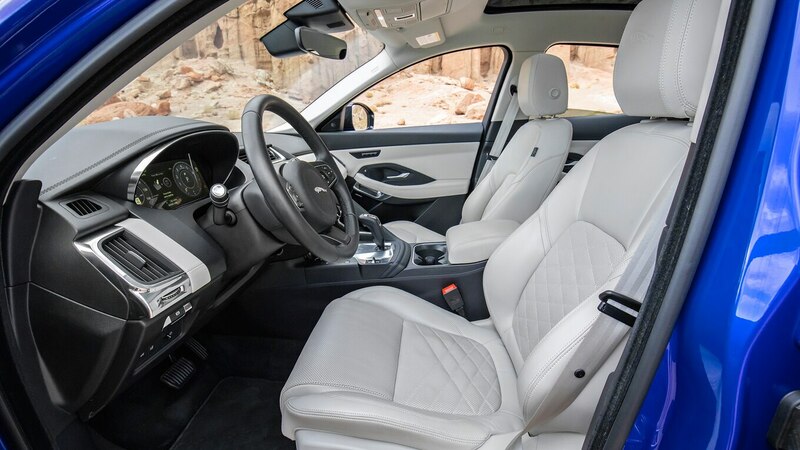 But for those who traffic in such details, the X2’s UKL2-platform running gear is shared with the roomier second-gen X1 and two Mini siblings, the Countryman and Clubman. 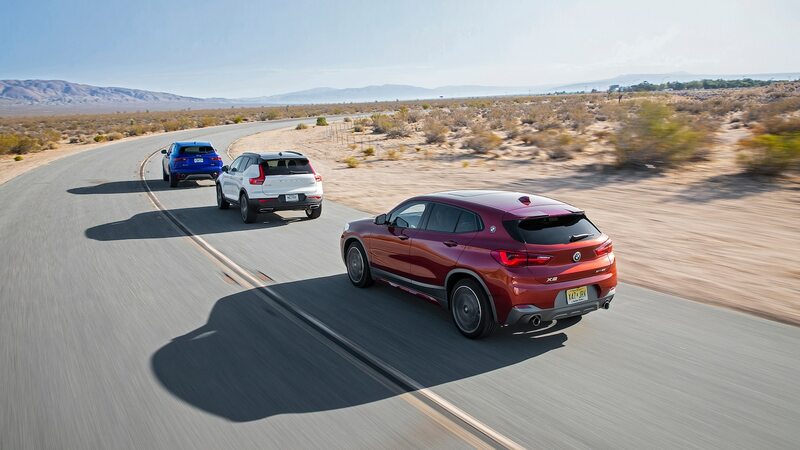 Our objective tests indicate that the featherweight 3,684-pound (1,671-kg), 228-hp eight-speed X2 accelerated quickest, stopped shortest, cornered hardest, and circled our figure eight most adroitly. If you are the rare enthusiast millennial, this might be the ride for you. Relative to that “Ultimate Driving” cute ute, the others aren’t far behind. 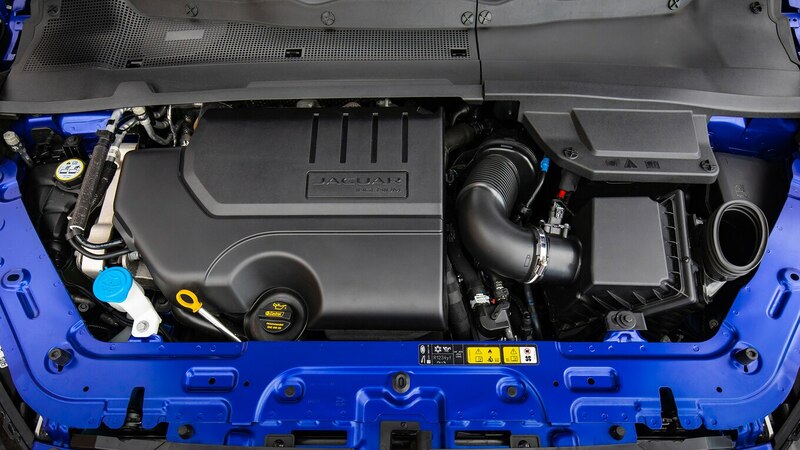 The 246-hp Jag weighs 528 pounds (239 kg) more but runs on a shorter-geared nine-speed; the 248-hp Volvo comes in a slight 170 pounds (77 kg) heavier and uses the exact same transmission as the BMW. 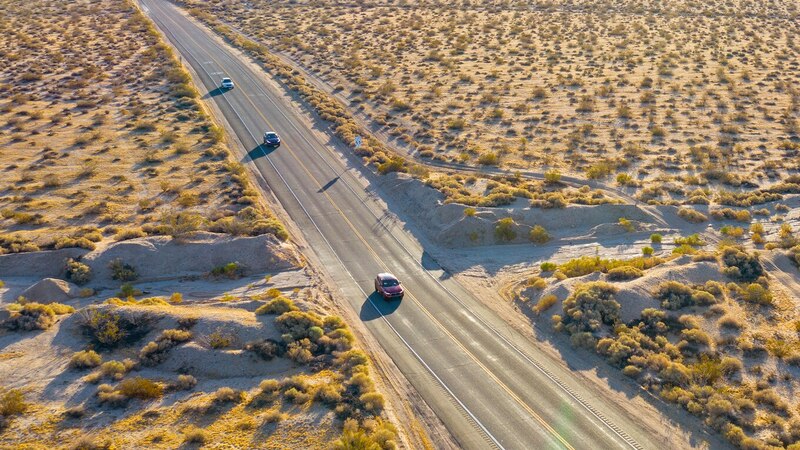 Respectively, they’re 5 and 6 percent slower through the quarter mile, their stopping distances from 60 mph are 7 and 8 percent longer, and they run our figure-eight course 5 and 4 percent slower. Not exactly a hare versus two tortoises. For most drivers, these are rounding errors; your passengers likely won’t notice the difference. 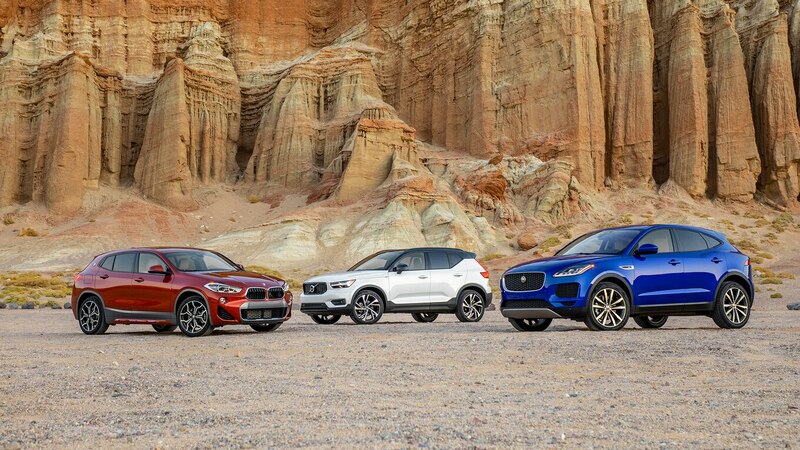 Most agreed that the E-Pace drives way better on-road than its Land Rover siblings, but Motor Trend en Español managing editor and Mex-ennial Miguel Cortina was less impressed: “The E-Pace feels heavy and underpowered compared to the XC40 and X2.” He’d undoubtedly change his tune with the zippier 296-hp E-Pace P300 model, which opens at $49,995 USD, but among the existing trio he preferred the BMW’s dynamics. 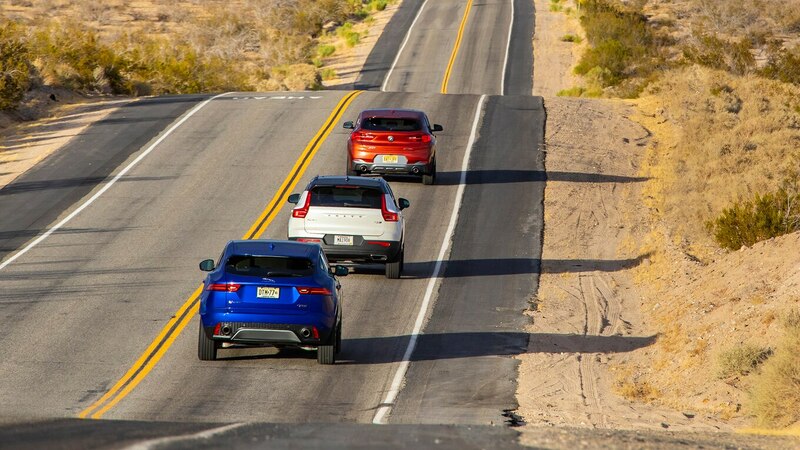 The XC40’s acceleration performance trails the pack by a slight margin, and when flogged, its engine’s “angry Hoover” exhaust note struck some as a plea for mercy. Some judges find the steering and brake inputs to be slightly nonlinear, resulting in the need for occasional course correction. 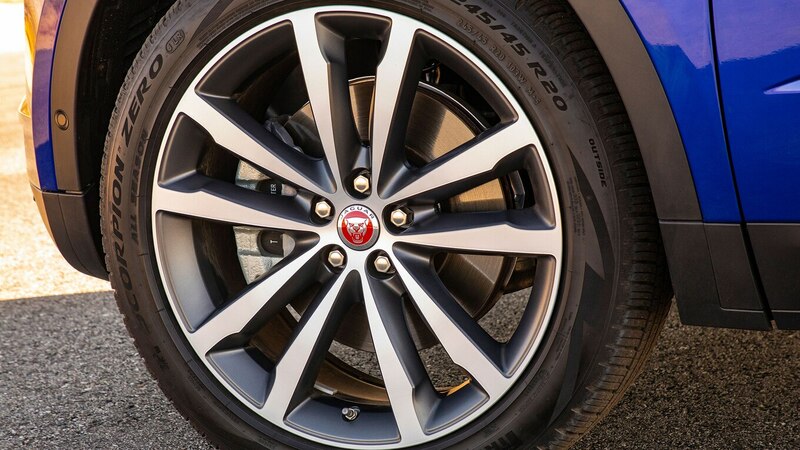 But Pirelli Scorpion Zero tires much like the ones used on the Jaguar squeal a lot less on the Volvo and might contribute to better performance on our figure eight. 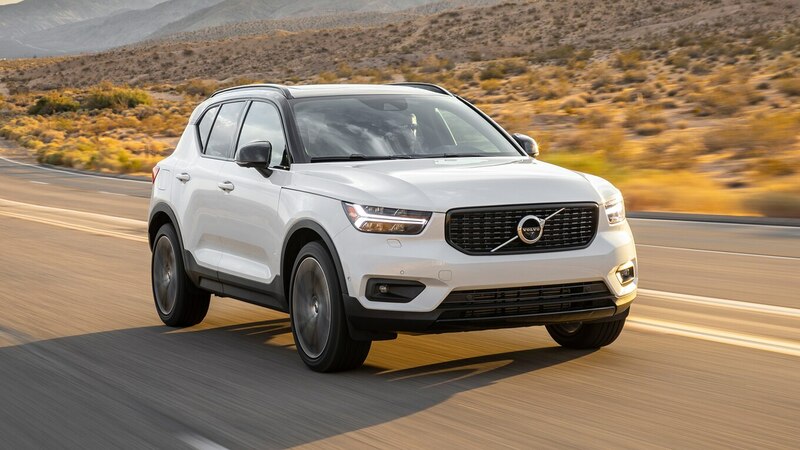 The XC40 is just not happy being driven at ten-tenths on our closed handling track, but how often are you going to do that? It’s perfectly happy keeping up with the others at a brisk pace on public roads, and in these conditions it feels far nimbler than the Jag. 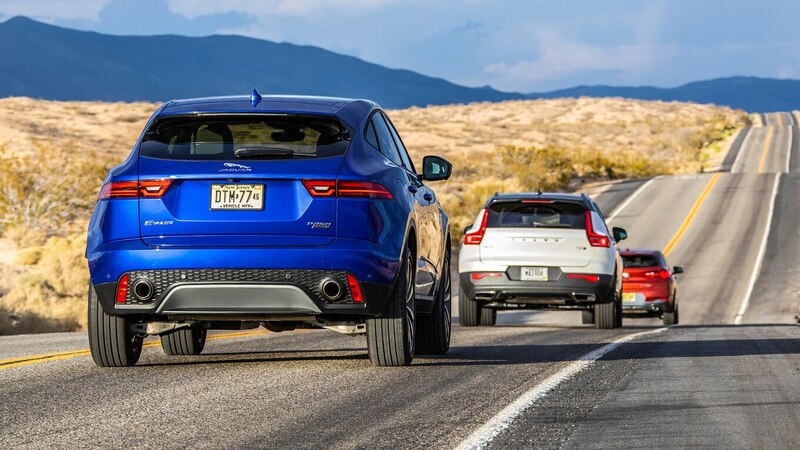 Of course, some of the weight difference relative to the Jag might come courtesy of skimping on sound deadening, as the Volvo’s highway tire and engine noise ranked only slightly better than the BMW’s. 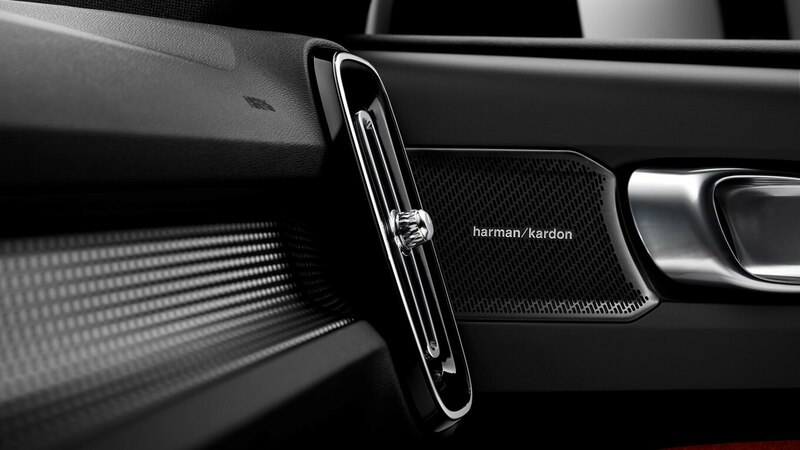 Millennials will enjoy letting Volvo assume some of the tasks of driving. 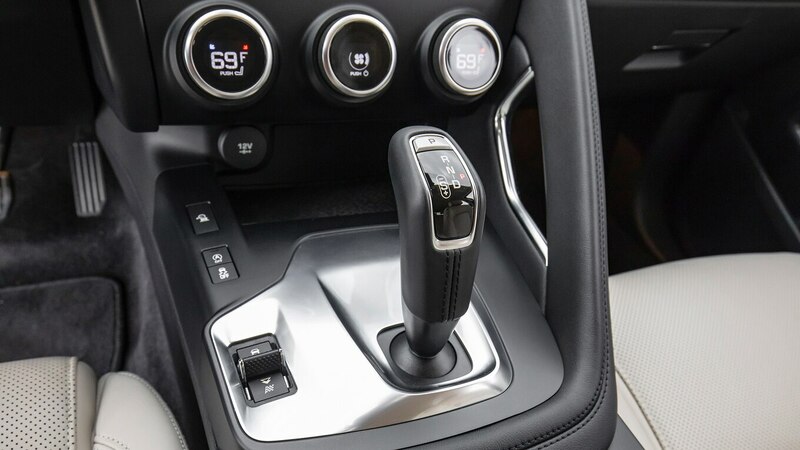 Its Pilot Assist, which activates with a press of the unidentified left or right arrows on the left steering wheel multifunction switch, does the best job of keeping the vehicle centered in its lane while providing decisive, minimally harsh acceleration and deceleration during adaptive cruise control operation. 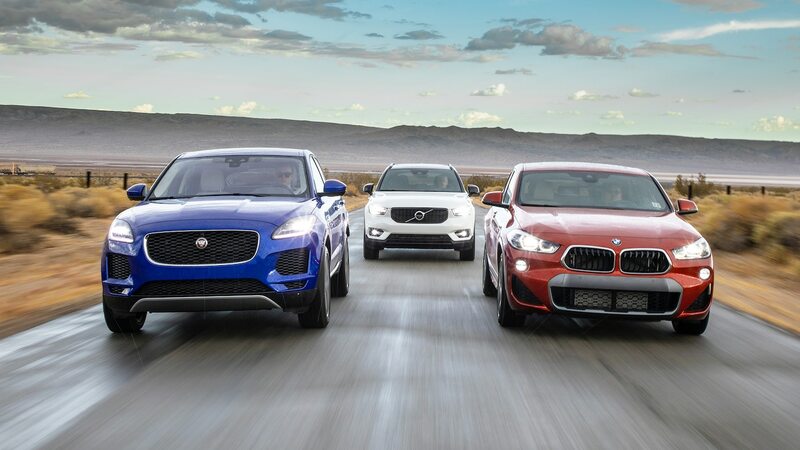 Jaguar’s lane keep assist nudges you away from the lines, and BMW merely nags you when you veer over a line. 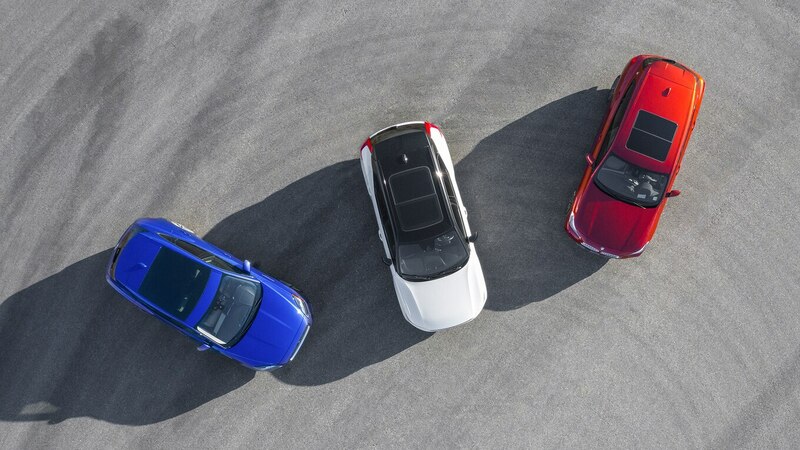 The Volvo’s parking assist function is also superior to those in the Jaguar and BMW; it cleanly executes parallel park-in and park-out maneuvers and backs the vehicle into a perpendicular spot with relative ease. The Jaguar’s system functioned as well, but it displays driver instructions on the instrument panel when the driver should be monitoring the camera views on the center display (where Volvo overlays its instructions). BMW’s system doesn’t provide park-out assistance in parallel parking and cannot do perpendicular parking at all. This category is likely even less pertinent to our target audience, but in the interest of science (and trips to the family ski lodge in Breckenridge) we venture into deep sand as a substitute for slushy snow, rattle our molars over washboard gravel, and climb steep, slippery hills. All three vehicles survive our tests unscathed. Each has a hill-descent control system to regulate downhill speeds. 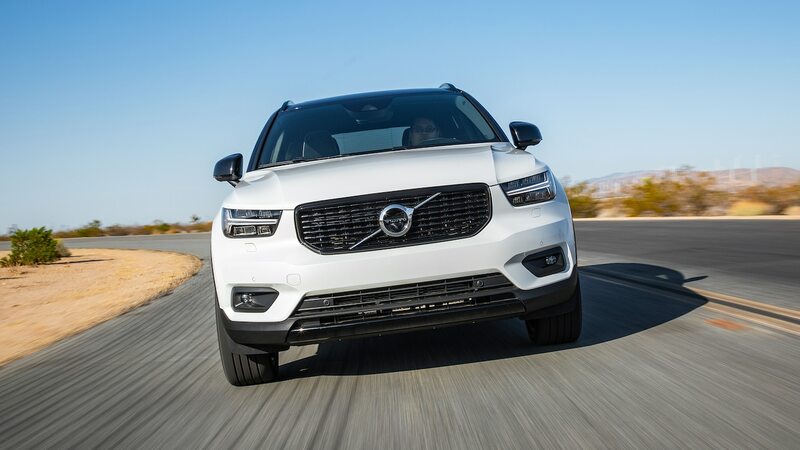 Volvo boasts the greatest ground clearance (8.3 inches) and offers an off-road mode that optimizes traction at low speeds and places a compass in the center of the instrument cluster. Jaguar cribs some Land Rover tech for its All Surface Progress Control (off-road cruise control), and it worked flawlessly. 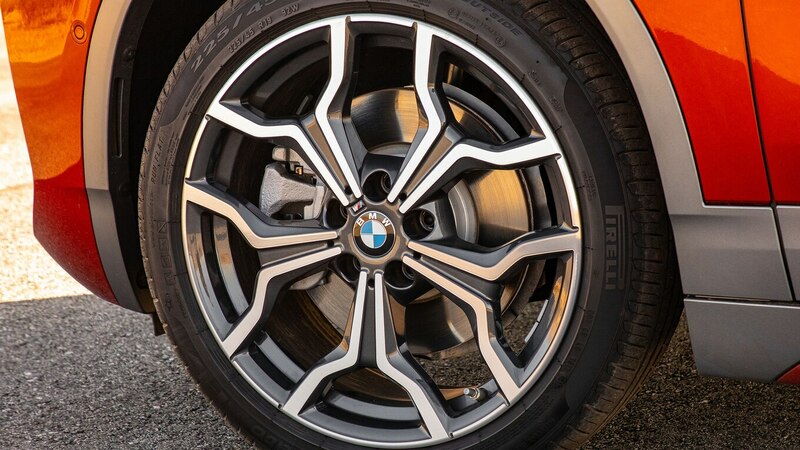 BMW is least prepared for serious off-roading with but 6.8 inches of clearance and no off-road modes. 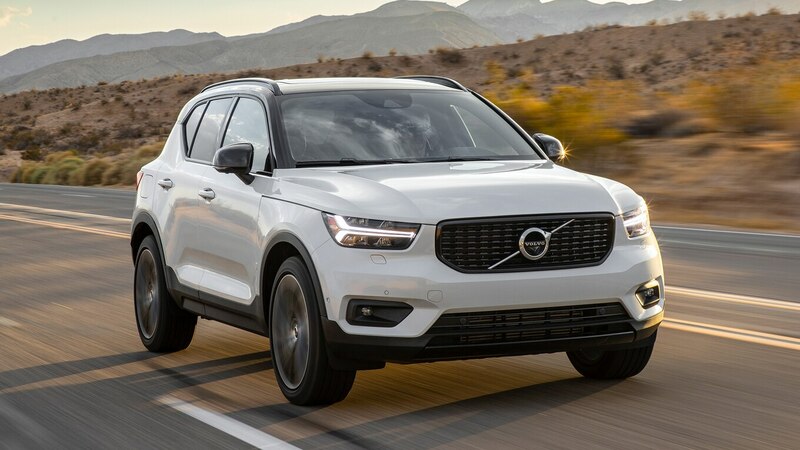 The Volvo is the most affordable of these three, with the 187-hp T4 front-drive model opening at $34,195 USD and a fully equipped T5 Inscription topping out at $47,490 USD. 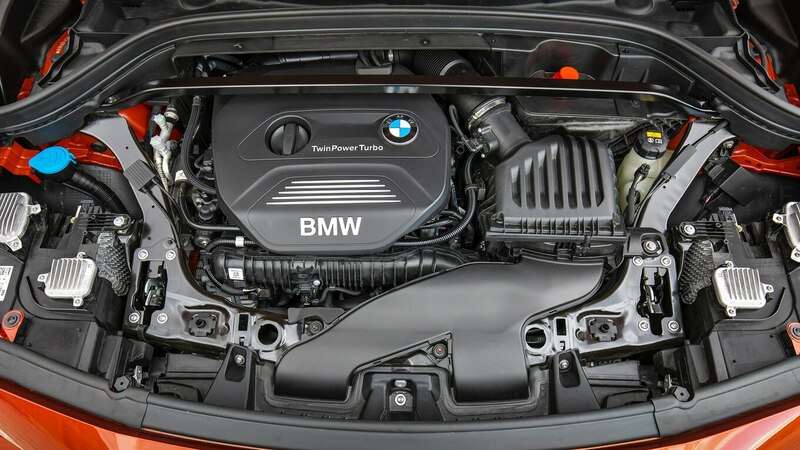 Next up is the front-drive BMW at $37,395 USD, with fully loaded all-wheel-drive models topping out at $53,520 USD. All E-Paces get all-wheel drive, with the base model starting at $39,595 USD and a loaded P300 HSE topping out north of $68,000 USD. 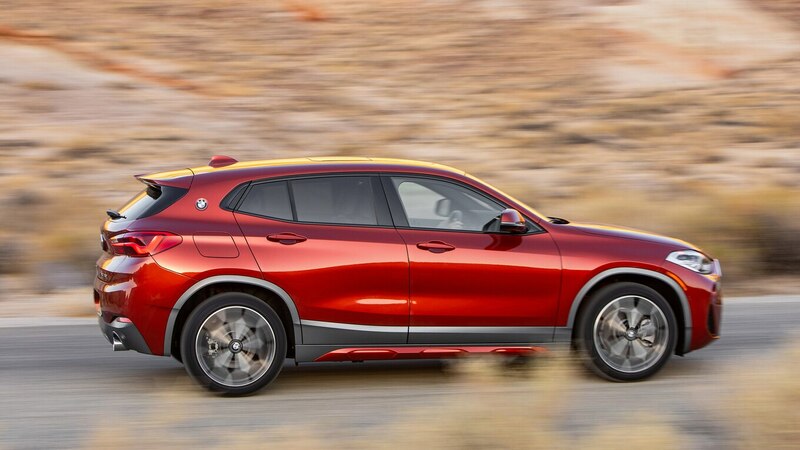 After a week of intense evaluation, our millennial consultants concluded that the cramped, loud, but fun-to-drive BMW just didn’t have the chops (or the USB ports) to win them over. 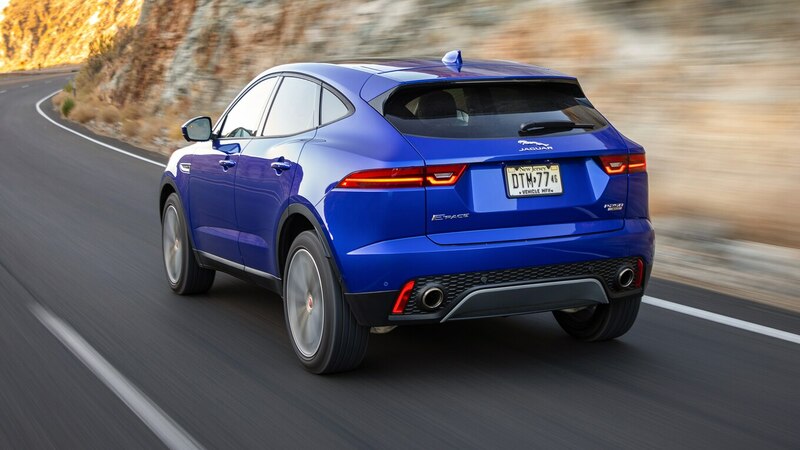 The beautiful and dynamic (but pricey) Jaguar’s glitchy infotainment tech and second-best packaging earned it the silver. 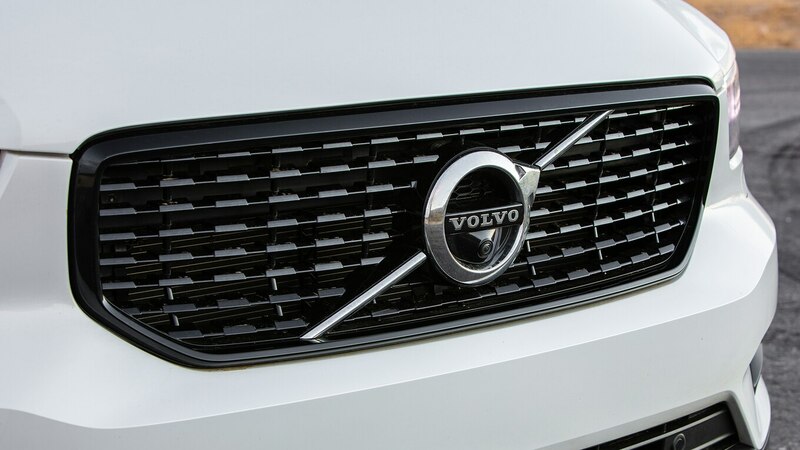 Which leaves our stylish, tech-savvy, value-conscious Volvo in the winner’s circle.